The new series of Doctor Who starts on BBC One on March 30 and The first official photograph from Doctor Who series eight has been released, as well as information promising new monsters and underwater adventures.Lead writer Steven Moffat is calling 2013 Doctor Who’s “most exciting year” and has said that the season finale will reveal “the Doctor’s greatest secret”. The first episode, The Bells of St John, marks the official introduction of the Doctor’s newest companion, Clara Oswald. Played by Jenna-Louise Coleman, Oswald made two appearances last year, but will star alongside Matt Smith as Doctor Who throughout this series.The Bells of St John will also feature a new nemesis, the Spoonheads, who will battle the Doctor as he discovers something sinister in London’s wi-fi. Moffat said new Cybermen and Ice Warriors would also appear in the series.Jessica Raine, who is set to appear in Doctor Who biopic An Adventure in Space and Time, will guest star in series eight, as will Warwick Davies, known for his roles in the Harry Potter and Star Wars films. While The Bells of St John is set in modern-day London, Moffat promised new adventures for Doctor Who: “We’re up in the sky and under the sea! We’re running round the rings of an alien world and then a haunted house. And there’s a never before attempted journey to the centre of the TARDIS.”. Meanwhile Roger Delgado, the former Actor who is best known for playing the Doctor Who adversary The Master, was born 1 March 1918 in Whitechapel, in the East End of London. Delgado worked extensively on the British stage, and on TV, film and radio. He appeared in the 1955 BBC Television serial Quatermass II, had a role in the Powell and Pressburger wartime drama Battle of the River Plate (1956), and came to wide popular attention in Britain when he played the duplicitous Spanish envoy Mendoza in the ITC Entertainment series Sir Francis Drake (1961–62), after which he was much in demand; an ‘in-joke’ in the 1971 Doctor Who story Colony in Space refers to that role: the Brigadier tells the Doctor not to worry — the suspected sighting of the Master was only the Spanish Ambassador! Delgado was frequently cast as a villain, appearing in many noted British action-adventure TV series by ITC, including The Champions (1969), Danger Man (1961), The Saint (1962, 1966), and Randall and Hopkirk (Deceased) (1969). He made a total of sixteen guest appearances in ITC shows — the most of any actor — with his last completed role being ITC’s The Zoo Gang shown in 1974. He also appeared in The Avengers (1961, 1969), The Power Game (1966) and Crossfire (1967). In film, he appeared alongside Bing Crosby and Bob Hope in The Road to Hong Kong. He began work on Doctor Who in late 1970, his first broadcast appearance being in the January 1971 adventure Terror of the Autons. He subsequently reprised the role of the Master in many of the Third Doctor serials, including The Mind of Evil, The Claws of Axos, Colony in Space, The Dæmons, The Sea Devils, The Time Monster and Frontier in Space. The Master’s story arc was to have ended in The Final Game, which was planned as the final story to feature Pertwee’s Third Doctor, but the story was scrapped following Delgado’s sudden death. The role has since been played by several actors, Peter Pratt, Geoffrey Beevers, Anthony Ainley, Eric Roberts, Derek Jacobi and John Simm. I hope they re-introduce the Sea-Devils in the latest series(The looked Cool) but I’m not sure how they would do it. I have also been listening to The latest posthumous release from the estate of late, great Guitar Legend Jimi Hendix, who due to his prolific nature still has an ever expanding discography even 43 years after his tragic and untimely demise. The latest release is called People. Hell and Angels and was released on 1st March 2013. 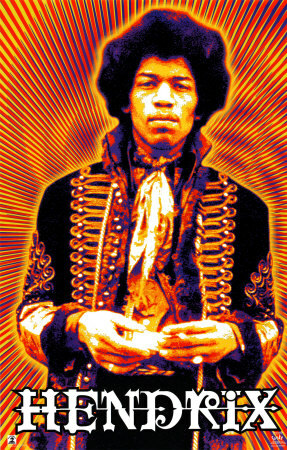 It is presented as the planned follow-up to the great guitarist’s masterpiece 1968 album “Electric Ladyland” by The Hendrix estate. The album contains a collection of twelve previously unreleased studio performances by Hendrix which sound like they could be a possible template for Hendrix’s next set of musical explorations. 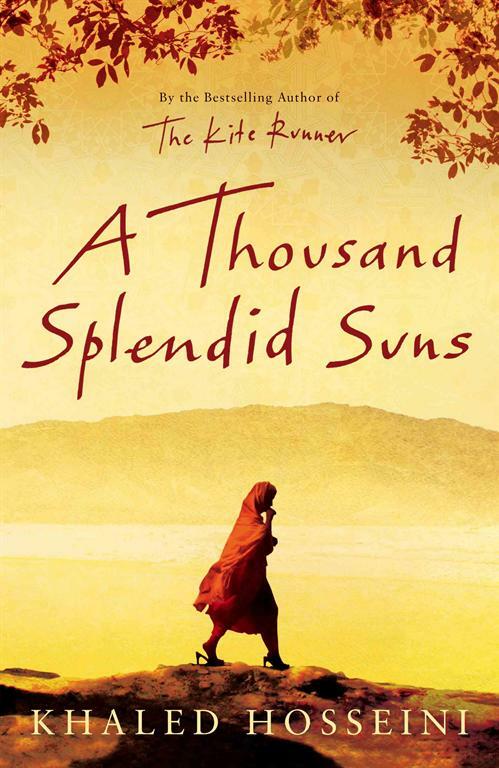 Having read and enjoyed both The Kite Runner & Thousand Splendid Sons, I thought I would blog about Afghan-born American novelist and physician Khaled Hosseini who was born this date March 4, 1965. He is a citizen of the United States where he has lived since he was fifteen years old. His 2003 debut novel, The Kite Runner, was an international bestseller, with the paperback spending 101 weeks on the bestseller list In 2007, it was followed by A Thousand Splendid Suns which has spent 21 weeks on The New York Times Best Seller list for paperback fiction and 49 weeks on The New York Times Best Seller list for hardcover fiction (#1 for 15 of those weeks). The two novels have sold more than 38 million copies internationally. Hosseini was born in Kabul, Afghanistan, in 1965. In 1970 Hosseini and his family moved to Iran where his father worked for the Embassy of Afghanistan in Tehran. In 1973 Hosseini’s family returned to Kabul, and Hosseini’s youngest brother was born in July of that year.In 1976, when Hosseini was 11 years old, Hosseini’s father obtained a job in Paris, France, and moved the family there. They were unable to return to Afghanistan because of the Saur Revolution in which the PDPA communist party seized power through a bloody coup in April 1978. Instead, a year after the Soviet invasion of Afghanistan, in 1980 they sought political asylum in the United States and made their residence in San Jose, California.Hosseini graduated from Independence High School in San Jose in 1984 and enrolled at Santa Clara University, where he earned a bachelor’s degree in biology in 1988. The following year, he entered the University of California, San Diego, School of Medicine, where he earned his M.D. in 1993. He completed his residency in internal medicine at Cedars-Sinai Medical Center in Los Angeles in 1996. Hosseini practiced medicine for over ten years, until a year and a half after the release of his first novel The Kite Runner which was released in 2003 and is the the story of a young boy, Amir, struggling to establish a closer rapport with his father and coping with memories of a haunting childhood event. The novel is set in Afghanistan, from the fall of the monarchy until the collapse of the Taliban regime, and in the San Francisco Bay Area, specifically in Fremont, California. Its many themes include ethnic tensions between the Hazara and the Pashtun in Afghanistan, and the immigrant experiences of Amir and his father in the United States. The novel was the number three best seller for 2005 in the United States, according to Nielsen BookScan. The Kite Runner was also produced as an audiobook read by the author. The Kite Runner has been adapted into a film of the same name released in December, 2007. Hosseini made a cameo appearance towards the end of the movie as a bystander when Amir buys a kite which he later flies with Sohrab. Recently I have been listening to The Stereophonics eagerly awaited eighth studio album Grafitti on the Train which was released on 4th March 2013 on the band’s own label Stylus Records and the opening track is typical Stereophonics, with We Share the Same Sun turning a bluesy guitar over and over against sinister keys. This is followed by the semi-gothic Take Me, and the doo-wopping trad-rock Been Caught Cheating, which erupts into an anthemic chorus.Some tracks like Catacomb in particular try to find some common ground between Led Zeppelin, Black Sabbath and Radiohead’s Electioneering, and achieving something close. This song is followed by Roll the Dice where a Supergrass-y vamp morphs into the kind of quasi-operatic shapes Muse might reach for, and both songs border on the exciting. Similar is the last minute of Violins and Tambourines, which is followed by the Traveling Wilburys like Indian Summer, with which has a vague, unobtrusive appeal and sense of weathered comfort. For all the occasional pyrotechnics, Graffiti on the Train sound like the work of a band who have done the rock’n’roll thing and are now easing into the next step, and this is a solid enough start.